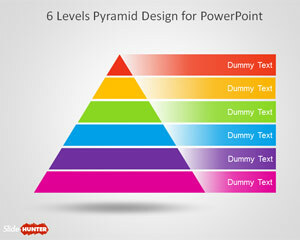 Download free segmented diagrams and PowerPoint templates with pyramid diagram designs and multi level diagrams that you can use to make impressive slide designs for your PowerPoint & Keynote presentations. 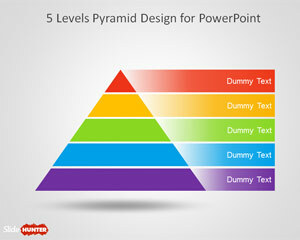 Free segmented diagram design for PowerPoint with five levels pyramid diagram that you can download to prepare presentations in Microsoft PowerPoint 2010 and 2013. Alternatively you can download other free segmented templates for PowerPoint presentations including awesome backgrounds and free PowerPoint slide designs. 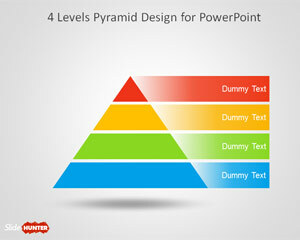 Free 4 Level segmented Pyramid Template for PowerPoint is a free segmented pyramid slide design that you can download to create awesome slide designs with PowerPoint. Alternatively you can download other free segmented diagrams like the 3D segmented pyramid diagram design for PowerPoint or free stacked diagrams.